Speeding increases the risk of a crash. The National Highway Traffic Safety Administration has estimated that the social costs of speeding-related accidents are $40.4 billion each year. 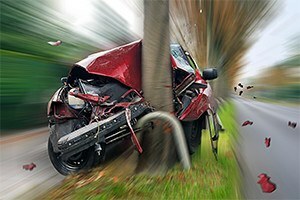 In 2012, speeding contributed to 30 percent of the fatal crashes in the U.S. In spite of the tremendous risks, this careless behavior still is common. If you are injured or a loved one is killed because of a reckless driver, the car accident lawyers at Moll Law Group are available to help you pursue compensation. A Chicago speeding accident attorney may play a vital role in asserting your rights. If you are injured in a speeding accident, you should consult an attorney as soon as possible. In Illinois, the statute of limitations for filing a personal injury lawsuit is two years after the accident. You have five years to file suit for damage to your vehicle or other property. In order to recover damages for your injuries, you need to establish negligence by a preponderance of the evidence. This means you will need to prove that the defendant owed you a duty of care, the defendant breached this duty, actual and proximate causation connected the breach to the crash, and you incurred actual damages that are reasonably quantifiable. Speeding is likely to be considered a breach of duty because it is foreseeable that it may increase the likelihood that someone will be injured as a result. However, it can be difficult to prove the other driver's speeding. It is important to call the police after an accident so that the police can interview witnesses and make a note of any speeding on the police report. The police report of an accident can be powerful evidence in a personal injury lawsuit brought with the assistance of a speeding accident lawyer in Chicago. In some cases, both the plaintiff and the defendant are at fault because both were speeding. Illinois is a modified comparative negligence state in which your recovery is reduced by a percentage equal to your proportion of fault for the accident, and you are barred from recovery if a jury finds that you are 50% or more responsible for your own injuries. Insurers are well aware of this rule and may try to get a victim to admit that he or she was speeding or otherwise potentially at fault for an accident. Therefore, it is wise to consult your own attorney before speaking to an at-fault driver's insurance adjustor. If you are able to establish a speeding driver's liability, you may recover compensatory damages. These are economic and noneconomic damages that are intended to put you back in the position you would have been in had you not gotten into the accident with the defendant. They may account for medical bills, lost income and earning capacity, pain and suffering, property damage, and other costs and losses. If you were the victim of a careless driver, the Chicago speeding accident lawyers at Moll Law Group are available to represent you in negotiations with insurers and at trial if necessary. We can assist people in Wheaton, Naperville, and Schaumburg, as well as across Cook County. Billions of dollars have been recovered in cases in which we have been involved. Call us at 312-462-1700 or use our online form to set up a free consultation with an injury attorney.